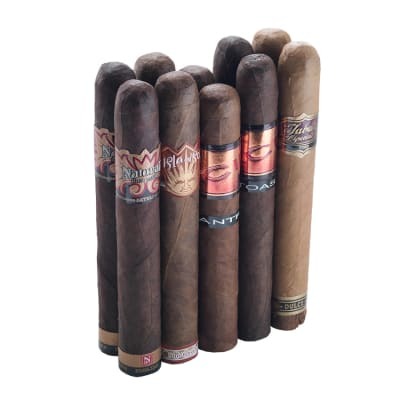 This sampler may sound like a late-night TV show, but it's actually one of the best prime-time buys you'll ever find. 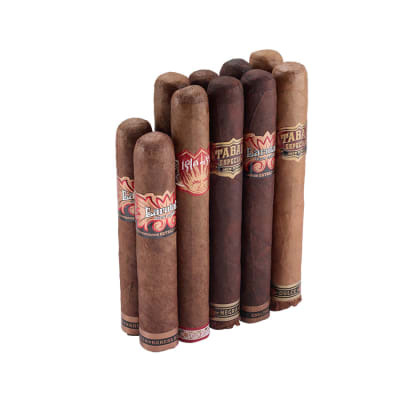 You get 10 cigars starring Drew Estate's & Joya De Nicaragua's most delectable blends, all draped in Maduro or Dark Natural wrappers. Order this episode of Drew After Dark NOW. 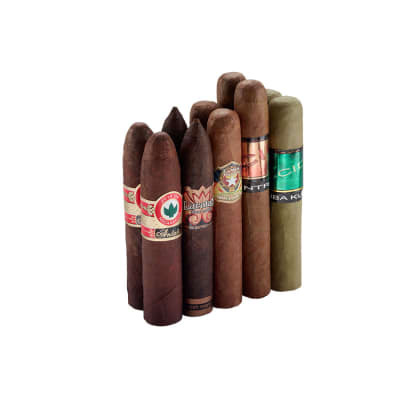 Usually when you get a sampler there's 1 or 2 cigars that aren't worth your time, but not with this sampler. 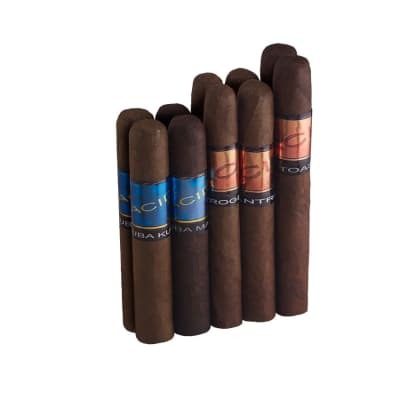 All five cigars are very good and at this price you're stealing. 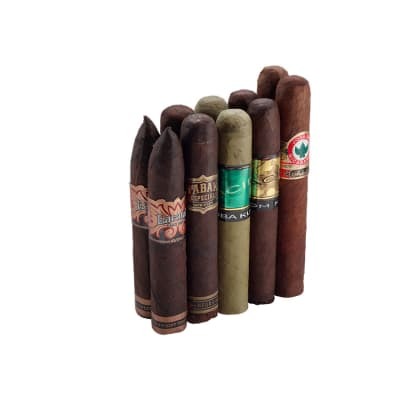 If you like the Drew Estate cigars this sampler is a must.